Me. Certainly there are other people out there complaining about and lobbying for parks, but in my searches I have yet to find another regularly publishing critic. Do you know of any dysfunctional or dangerous parks in your area? Then you should review it. I have seen some parks transformed after the city’s parks and recreation department was publicly shamed in the newspaper. Bad reviews can inspire action, and good reviews can help agencies maintain funding. 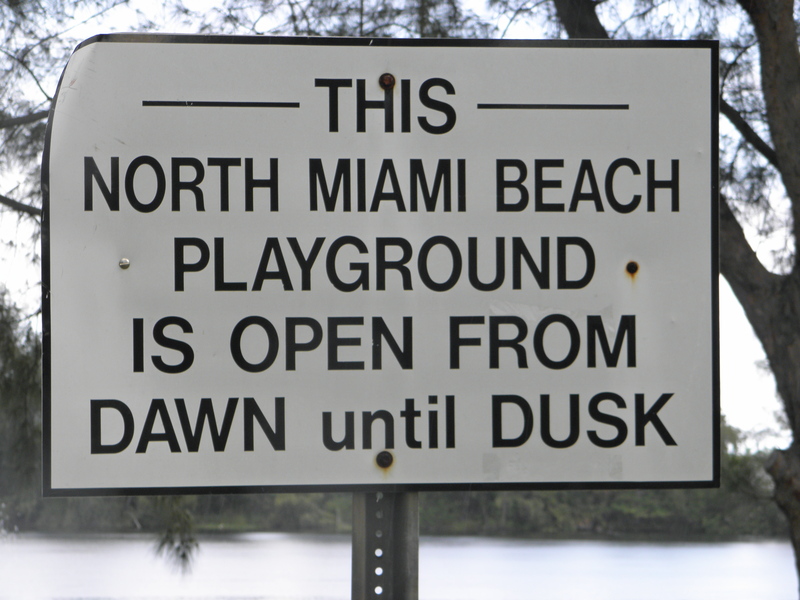 Thank you to Jim Mullin, the editor of the Biscayne Times, for proposing the idea of Park Patrol a few years ago. It would be great to see this concept spread to other newspapers and websites. Unlike the quickie reviews available on many websites, a true critic needs time to analyze and assess, whether it be a play, a restaurant, or a park. When it comes to critiquing local public spaces, I’ve got the corner on that market. Attention NMB: this "playground" is invisible. Next Post Next post: Snails and snakes and trees, oh killers! What a great job! I wish Miami had a park with a long, nicely paved lane for road biking that I can enjoy without fear of being hit by a car or shot at. Do you know of one? Miami has Rickenbacker Causeway, where you probably won’t get shot, but the car situation is not ideal. For safe biking, you really have to visit a state park. Oleta specializes in mountain bike trails. Another place is Crandon Park’s botanical garden, the former zoo. Nobody knows it’s there, so you get the whole place. It’s on the east end of the massive parking lot.